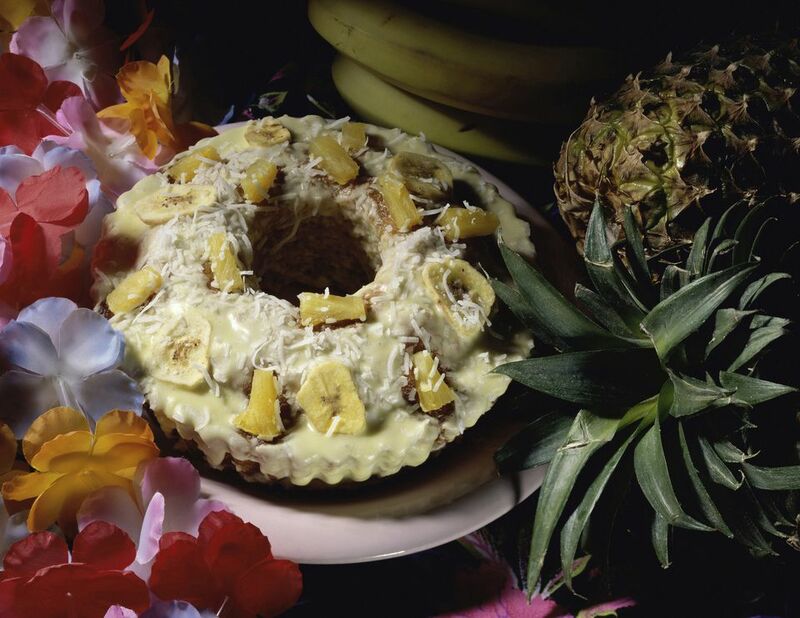 This banana cake recipe uses tube cake pan for baking with pineapple, bananas, and cinnamon in a distinctive, beautiful shape. Try topping with cream cheese frosting for added sweetness. In a large mixing bowl, sift together the flour, baking soda, cinnamon, sugar, and salt. Stir in the oil, pineapple, vanilla, eggs, and banana. Mix by hand until well blended. Pour batter into a greased and floured 10-inch tube pan. Bake at 350 F for about 1 hour and 20 minutes, or until a wooden pick or cake tester inserted in center comes out clean.